Amore is the first studio album released by the band. It was released back in 1983, on LP and cassette. On Amore you can find some of the biggest hits made by the band. Songs like “All You Zombies”, “Hanging On A Heartbeat” and “Blood From Stone”. In 2001 Amore was re-released with additional cover songs of “Lucy in the Sky with Diamonds” (by Beatles) and “Man In The Street” (by Don Drummond). Due to success of their first album, Amore, band ended up signing a record deal with Columbia Records and in 1985 they released a second album called Nervous Night. 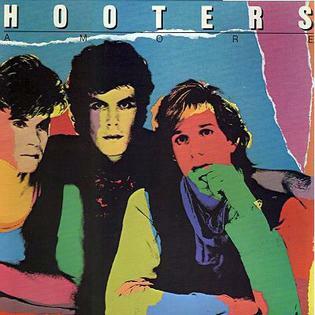 On this album three songs were re-released from their first album, “All You Zombies”, “Hanging On A Heartbeat”, “Blood From Stone”. On top of that, band mixed up 7 additional songs, for a total of 10 tracks. Album became a huge success and achieved a platinum certification, selling over 2 million copies in the US alone. Third album that the band released came about in 1987. It was titled “One Way Home” and it had 9 tracks. The album had mostly new songs that the band wrote on the previous tour. There was just one remix of at this point famous song of theirs, “Fighting On The Same Side”. As an ode to their inspiration, The Beatles, the band included a riff from their “Taxman” song into “One Way Home”. Album was mostly well received and peaked #27 on the Billboard 200 charts. With the release of their fourth studio album back in 1989, titled “Zig Zag”, the band started to dab away from their usual lighthearted themed songs and into more serious waters. They sang about political issues of the time, how they dealt with passing of a friend, and more. Album had 10 new tracks and it was the last album that the band released under Columbia Records. Album was mostly well received and we got hits like “500 Miles”. Their fifth album was called “Out of Body”, and it was released in 1993. This was the first album that the band made under their new record label, MCA Records, and the first time that they cooperated with a new producer Joe Hardy. On top of that “Out of Body” was the first album where the band had an additional member, violinist Mindy Jostyn. There 11 tracks on the album and we had hits off of the album like “Private Emotion” and “Boys Will Be Boys” on which the band cooperated with Cindy Lauper. In 1994 the band released a live recording album of one of their shows in Germany. 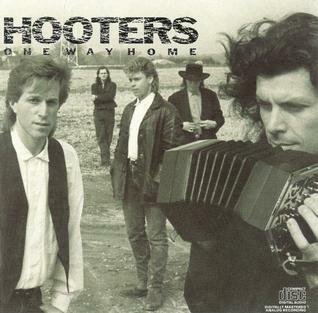 On top of the 11 tracks from the show, “The Hooters” also released an additional 2 new tracks. They were covers of popular songs “All I Really Want To Do” and “Blowin in the Wind” by Bob Dylan. 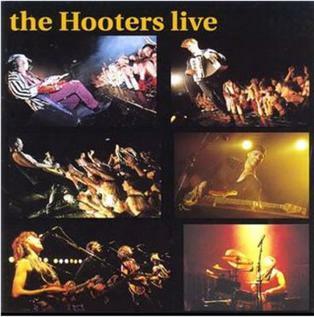 Hooterization is a compilation album of all the greatest hits that the band had over the years. The album is a mix-match of all the popular song like “All You Zombies”, “Satellite”, “Day by Day” and more. A total of 16 tracks were included. 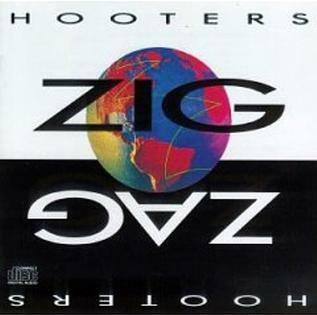 Hooterization was released by Columbia, that’s why some of their newer songs weren’t included, which were released under their new record label. In 2001 the band released another compilation album called “Super Hits”. 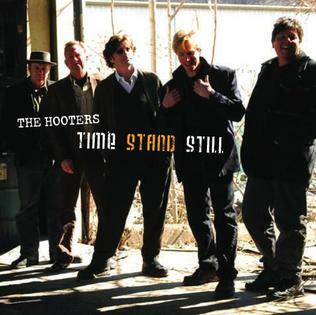 Sixth and the latest studio album that the band released was called “Time Stands Still”. Album has 11 tracks and most of them were new songs. 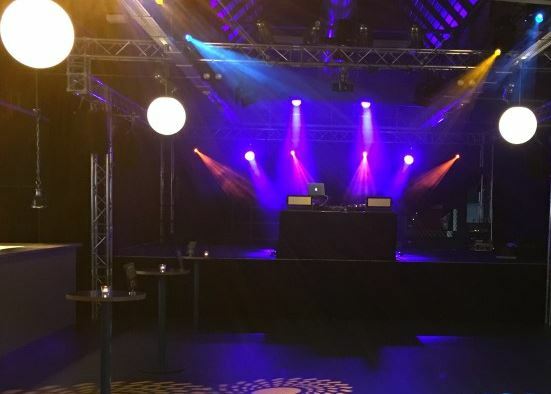 Two songs were the usual inclusions from the past. This time it was “Until You Dare” from Eric Bazilians solo album and a cover version of Don Henley’s 1984 son “The Boys of Summer”. Album received very good ratings and had decent success with the audience. On top of these there were many other compilations, singles and mixes that were released over the years. This list covers just the major releases made by the band.